On the weekend of November 3-4, 2018, the parish of St. John the Baptist in Washington, D.C. organized once again their annual pilgrimage to the monastery to honor the memory of Brother Jose Munoz, the ever-memorable guardian of the Myrrh-Streaming icon of the Iveron Icon of the Mother of God. As is known, Brother Jose was murdered on October 31, 1997, and the icon was “lost,” its location being unknown until this day. Through God’s mercy, a copy of the icon from Hawaii streams great quantities of myrrh and for the past number of years has been taken around many Orthodox parishes around this country and others, for the spiritual consolation of the faithful. And so, this weekend, also the icon was brought here by Fr. Athanasius Kone, our parish priest in Honolulu. Two busloads of pilgrims arrived around 3PM, Saturday afternoon. Also, a large group of pilgrims arrived from Hartford, CT as well as pilgrims from a Serbian parish in Toronto and many other pilgrims from all over the country as well as Canada. It might be pointed out that the previous weekend, a large group of pilgrims came from Brooklyn to also commemorate the memory of Brother Jose, with the Very Rev. Sergey Lukianov. 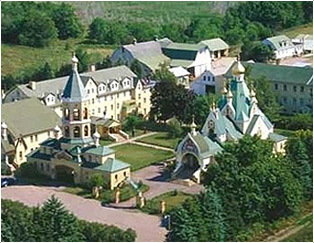 To head up this pilgrimage weekend, His Eminence, Metropolitan Hilarion, arrived to preside at the divine services. With his presence, the usual pannikhida was served at the grave of Brother Jose at 3PM. It was remarkable in that up until that time, the monastery was experiencing quite severe winter weather. However, at around 3PM, the precipitation ceased for the duration of the pannikhida and then proceeded as before once it was over. As usual, the All-Night Vigil was served at 7PM. 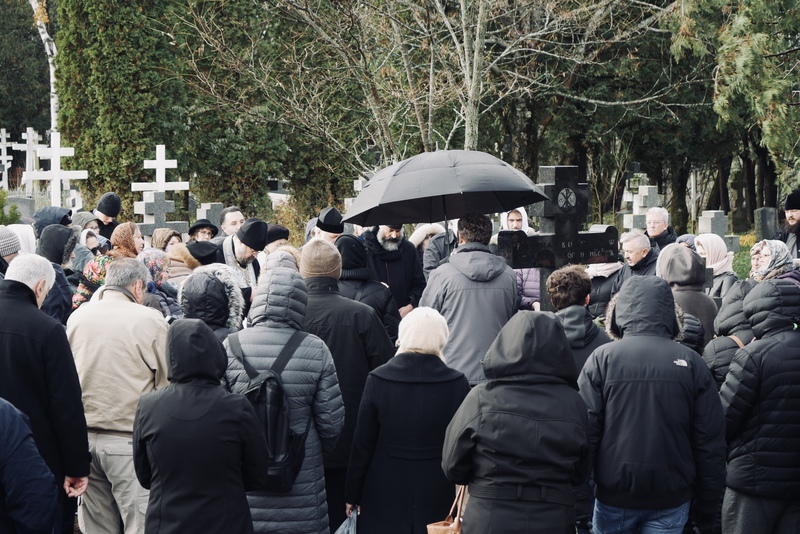 The next morning, on Sunday, His Eminence was greeted at 9AM, and the Hours and Divine Liturgy were concelebrated with the monastery clergy as well as many visiting clergy. Vladyka ordained to the priesthood Deacon Photius Erdman, who is enrolled in the Seminary’s nascent master’s program and has been assigned to the monastery. Many of the faithful availed themselves of partaking of the Holy Mysteries. The services were followed by the customary monastery trapeza. Due to the great number of pilgrims, people were fed in the seminary hall as well as the summer kitchen and the former printing press. The museum of the Foundation of Russian History at the monastery was opened for the pilgrims, and a tour was provided for those who had come to the monastery perhaps for their first time. At around 2PM, another pannikhida was served at Brother Jose’s grave, and the Washington pilgrims departed, having given thanks to God for His great and abundant mercy.